Buy 1 unit per crystal or pearl that you need. 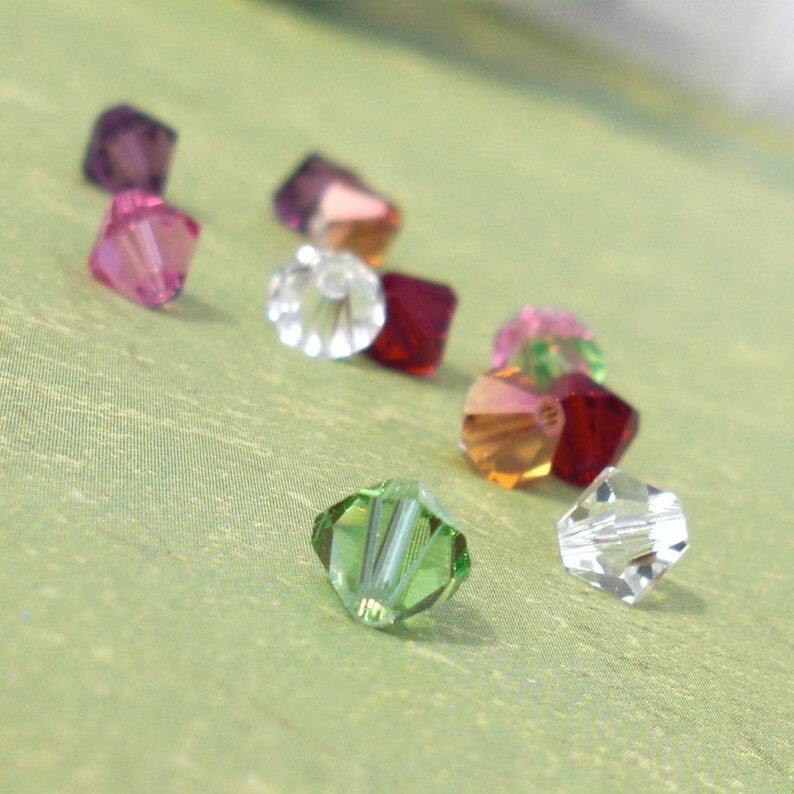 -:|:- Add some sparkle and color to your earrings, bracelet, necklace, charms... anything! -:|:- If this purchase is combined with your existing order shipping is only a little more. If you are purchasing only this item, the shipping will be normal rates. Please Note: Fresh Water Pearls are not all the same in shape. Some are smooth, oval, rounded edges or textured with ridges. Your pearl may vary from what is pictured. ~ Right now 6mm pearls are pretty ridged, and 3.5mm pearls are fairly smooth. -:|:- To add multiple charms to your order: At checkout click on "keep shopping" and you should be brought back to my shop. Then you can add another item to your cart. Keep doing this until you have all the items that you need. You can also use this listing to ADD a key ring to your order. Or 2" of length to an existing chain in your order.